Supposedly you’re reading this article hoping to gain something useful from it, and fortunately for you I can point you in the right direction. There are a number of things you can do to perform as you’d wish in your exams, but if there is anything in your everyday routine that you are able to replace for devoting time to your exams then, for the time being, you should. The best time to start studying is at least two months before exams. First things first, pick a suitable area you would like to study in, preferably a quiet and tidy space. Clear any clutter and remove any distractions from the study area to help keep your mind focused on your studies. Then, reflect on your daily routine and organize a schedule oriented to more study time. An effective way of analysing your daily tasks as priorities is to write them down on an Eisenhower table, which is a table designed to help manage your time. Using this, you can distinguish the importance of the daily tasks you perform versus your study time. When you’ve finished, construct a schedule for each day with time intervals for each task you must do. Tasks not very important or urgent can be replaced by more study time. Be sure to always have room for leisure time to prevent being overloaded or stressed. Make sure your body is performing at its peak; sleep for 8 hours, eat a good and healthy breakfast, drink lots of water and manage your stress through exercise and during your leisure time. Don’t consume too much caffeine and don’t put too much pressure on yourself. Determine how proficient you are in each subject you’re taking. Take an old test for each subject, preferably a multiple-choice based question paper, complete with all the topics in the upcoming exams. When you’ve gathered all the results, you can allocate your study time to subjects in such a way that most of the time is spent catching up on difficult topics while you are consistent in topics you’re good at. Find the medium you are most comfortable studying with, ranging from written books to online tutorials, videos, audio recordings or highly interactive activities to make for absolute quality study time. Have a group study so you can effectively understand concepts from each other as they explain it to you, or consult a professional for a more in-depth explanation of topics. They can also immediately notice your weaknesses so your doubts can be resolved before you notice. 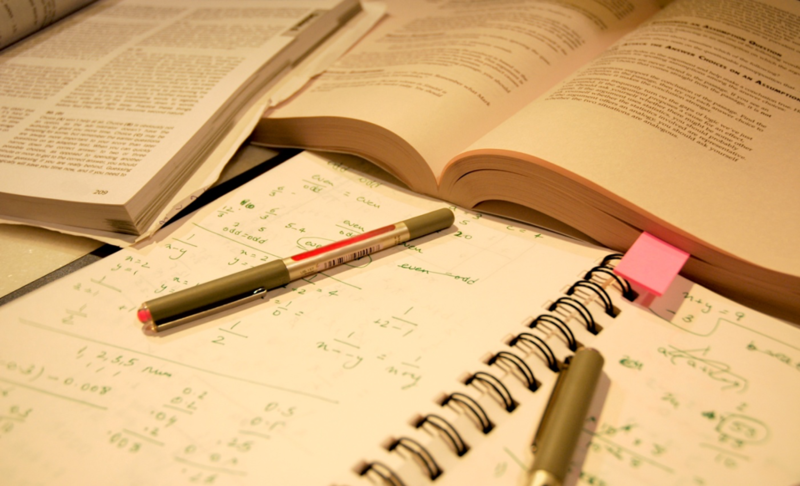 At the end of your study time, review your progress by having someone assess you, or assess yourself in an old exam. You will have understood where you are situated, which is what we’re aiming for; don’t be overwhelmed and be in control of the situation. I wish you all the best in your upcoming exams. Good luck!